Both these films minted huge money and are said to be action entertainers. Vijay has been quite selective with his movies, and he has been signing up action movies. He signed a film in the direction of Chimbudevan, and the movie has been a socio-fantasy entertainer titled Puli. Hansika and Sruthi Haasan played the female leads in the film which ended as the biggest debacle among Vijay’s films. The makers wrapped up the shoot of the movie by January this year and they waited for the film to come out with a comfortable release date. The film has been shot exclusively in Chennai, Kerala, Switzerland and in Hyderabad. 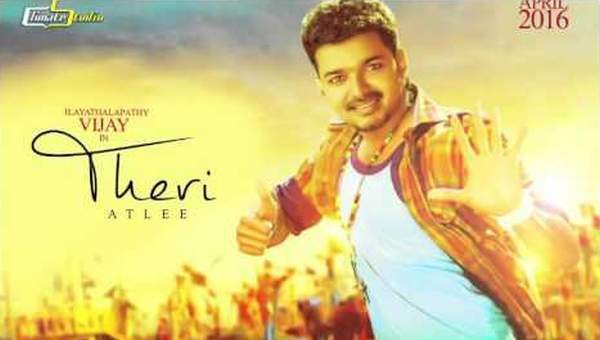 Theri features Vijay, Samantha and Amy Jackson in the lead roles in the film which has been made on a budget of Rs 100 crores. GV Prakash Kumar composed the music, and the audio of the movie is a massive hit across the world. Kalaipuli S Thanu produced the movie on V Creations banner, and the film has been dubbed into Telugu as Police and top producer Dil Raju presented the film on his banner Sri Venkateswara Creations. Theri released across the world on April 14th on the eve of Tamil New Year in over 3000 screens across the world. Theri opened with a bang and the movie received wide reception across the world. The film collected Rs 13.1 crores across the country on its first day, and the movie minted Rs 6.5 crores across the International circles. The film maintained strength on its second day, and the collections have been even strong throughout the weekend. Theri collected Rs 32.4 crores in four days across the domestic circles, and the movie even fared well across the International circles. The flick on the whole minted Rs 43.8 crores in four days across the world. The film even received a decent response for the Telugu version, and it has been declared as the biggest hit in Telugu.